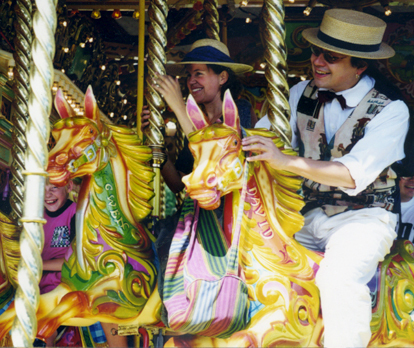 J.C. has grown up on the Isle Of Wight where from a young age he found himself in the company of artists, poets and musicians of all genres of music, from seaside holiday entertainers through to reclusive old time jazzers and rock stars! At the age of 10 J.C. was given his first guitar and on that day, armed with 3 chords, he wrote his first song, thus launching his song writing career! Within the year he was out performing. Local folk clubs, street busking, and variety shows kept him busy, until at age 13 he formed his first serious band, 'J.C. & the D.A.s' performing a mixture of 50s rock 'n' roll and originals. The following year J.C. took on his first paid summer residency playing instrumental music every Saturday night in local restaurant 'The Galleon'. At 15 local legend Dan Damage hauled him out of the high school arena onto the Island gigging circuit, with the punk band 'Damage' playing to audiences often 500 strong at the Island's most popular venues. A year later while 'Damage' was still going strong, J.C. along with fellow school mates, formed 'The Chuff Train Stompers' (later to become 'The Chuff Train Hot Dogs'). This high energy, avant-garde skiffle/jug band toured the country for the next 4 years. They played numerous folk and blues festivals, and dozens of university student union bars and balls. J.C. became used to playing big stages alongside big names with 'The Chuff Trains' and consequently had to leave 'Damage' at 17. As J.C.'s reputation grew, offers of work were constantly on the table, even playing his first ever country gig at Wembley Arena's International Festival Of Country Music, 'Best of British', with the band 'Sweet Water Valley'. With his experience of running bands J.C. felt confident, and realised the opportunities, of forming duos to fill another niche. Fellow Chuff Train member Jake Rodrigues and J.C. collaborated to form 'Tapping Feet'. They combined a whacky blend of old time banjo, novelty Hawaiian, music hall and hot jazz, with their own material, and performed locally and nationally. Following on from the duo with Jake, J.C. then formed his long standing duo with his sister and fellow Chuff Train member, Angelina. 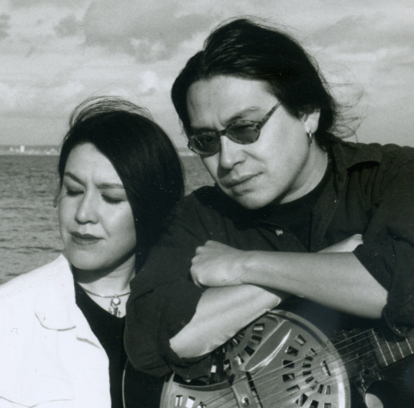 J.C. and Angelina have worked together as a successful duo act ever since, playing acoustic instruments and delivering a high energy, original show, largely self-penned. Their emphasis is old time jazz, country and blues, and heart felt ballads. 'J.C. and Angelina' have travelled widely with their duo, performing at festivals and art centres in more than 10 countries, including Japan, U.S.A., and much of Europe. They have supported B.B. King in Dublin's Temple Bar Blues Festival. They have supported Buddy Guy at both Maryport and Cognac Blues Festivals. They have supported 'Pentangle' at Ingelmunster Festival in Belgium. They have shared the stage with many others including Martin Carthy, Eric Bibb, Rory Block, Bob Brozman, The Pretty Things and Peter Green to name but a few. 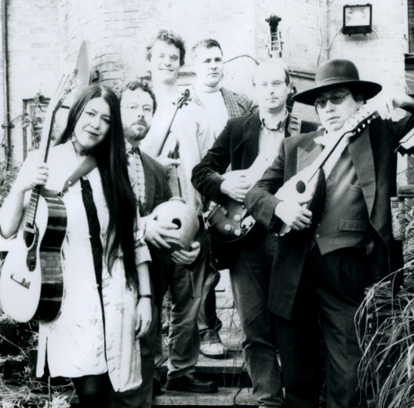 1994 saw the birth of 'The Dance Preachers', another high energy, good time band, branching further afield into the world of Klezmer, Latin American, and Avant-garde Folk and Jazz. With accordian, bouzouki and fiddle it has become the perfect vehicle for J.C. and other band members to perform their more adventurous and ambitious material. 'The Dance Preachers' still continue to be a very popular and successful band today. Alongside the duo and 'The Dance Preachers' J.C. continued to be involved in many other projects. Through J.C.'s passion for vintage National instruments he became good friends with such people as Bob Brozman, Roger Hubbard, Mark Makin, Stuart Cumberpatch, Michael Messer, Dave Peabody, Rick Stokes and many others. He spent some time with Bob Brozman in the States, and brought Bob's show back to the I.O.W. on several occasions, for 4 fantastic blues extravaganzas that J.C. staged. J.C. also played in Michael Messer's 'National Breakdown Service', an eight piece band predominantly using National instruments, headlining Bracknell festival and the Wirral guitar festival, and touring Switzerland and Italy over a two year period. In 1995 J.C. teamed up with Midge Ure forming an acoustic trio to promote Midge's latest acoustic based album 'Breathe'. With Midge on guitar, J.C. on mandolins and slide, and old mate Jake Rodrigues on accordian, they toured together for the next 2 years. They performed around 120 shows in 20 countries, playing venues that ranged from art centres to huge stadiums, and billing alongside some of the biggest names in pop music. They played on countless T.V. shows in Britain and abroad, including a feature on the Russian 6 o'clock news to a viewing audience of 260 million!! All 3 have enjoyed radio play in Britain and abroad, including a feature on radio 3's Late Junction. 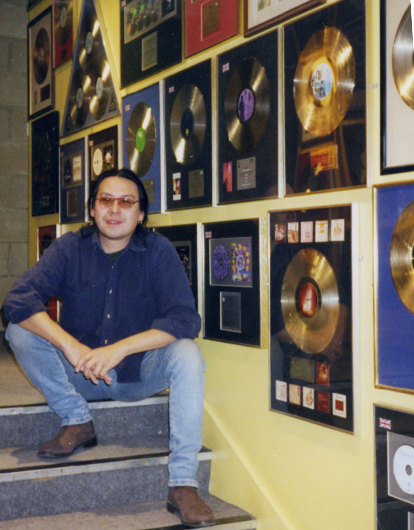 In 2004 J.C. joined Paul Armfield as one of 'The Four Good Reasons', recording Paul's 1st album 'Song Without Words' at the prestigious Fallout Shelter basement studio of Island Records, London. They have played, and continue to play, many European dates, and home dates, including the acoustic stage at Glastonbury festival and the Borderline in London. J.C. also plays on Paul's 'Evermine' and 'Blood Fish And Bone' albums. In the spring of 2006 J.C. formed 'The Gramophone Party' with Angelina, Jack Tate, Rupert Brown, Paul Armfield and later Richard White. The band was put together solely to perform at The Ventnor Jazz Festival, but after this one performance they were instantly booked for several other gigs including the main stage of Brecon Jazz Festival appearing later that summer, and more recently the main stage of Salisbury's Larmer Tree Festival. 'The Gramophone Party' brought out their C.D. 'It Happened In June' in time for Brecon. And so the band continues! 'The Gramophone Party' as a trio has more recently teamed up with Jake Oldershaw's Untied Artists performing a show charting the life and music of the crooner Al Bowlly, taking the band to more than 30 art centres and the Edinburgh Fringe Festival in 2011. In 2008 J.C. teamed up with song writer Jan Kubon and pianist/composer Burkhard Schmidt to form 'The Circle of 3'. This German-based trio perform solely their own compositions and have completed 4 successful tours to date with more in the diary. Their tours have included headlining spots at the Songtage Festivals in Germany and Luxembourg. J.C. continues to be involved in numerous projects. He teaches at the I.O.W. 's Platform One College Of Music. He regularly gigs with The folk/gypsy trio 'Tzigane'. He plays from time to time with Martin Wheatley's 'Hula Blue Birds'. 2012 has seen the release of J.C.'s 4th solo album: 'For What You Seek (You Will Find)'. His passion for his music, his instruments and his poetry shines through on every song.